I love to cook, craft, and create, but I hate to clean! It is always the last thing on my to do list! I’ll do anything else just to avoid cleaning! Of all the cleaning jobs in the house, the bathroom is my absolute least favorite room to clean! Uck! I’m all for anything that helps me get the bathroom clean easier and with less work! 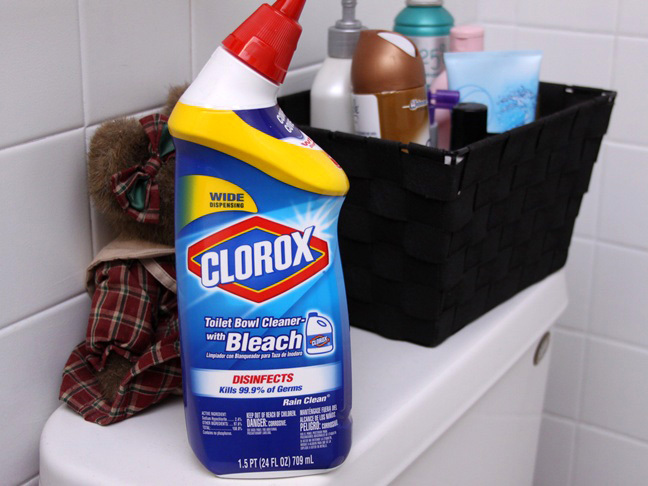 I was excited to try Clorox Toilet Bowl Cleaner – with Bleach. Let’s be honest here—cleaning the toilet has got to be the worst cleaning job ever! 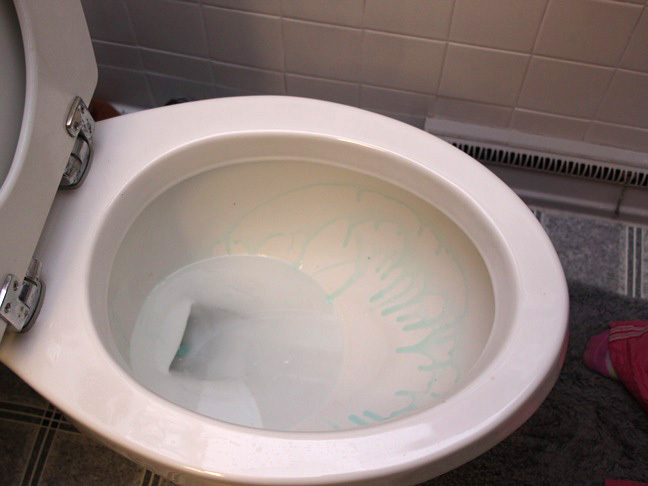 Some toilet bowl cleaners’ strong scents overwhelm you when you squirt them around the edges of your toilet. 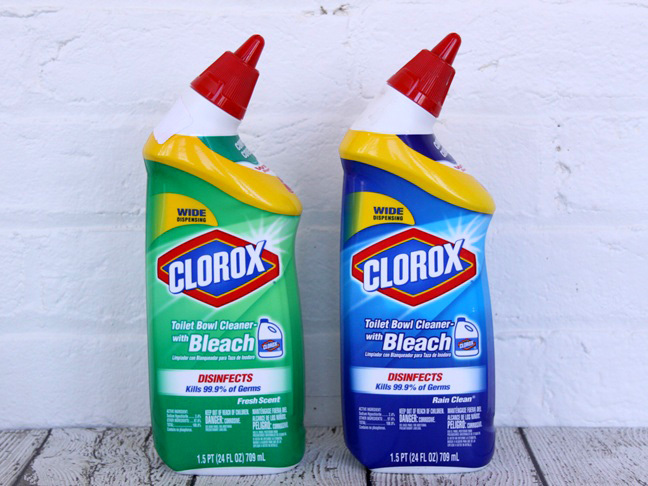 I was pleasantly surprised by the mild, clean scent both the Rain Clean and Fresh Scent Clorox Toilet Bowl Cleaners. I was also impressed with the disinfecting power of Clorox Bleach to kill 99.9% of germs. We all know the bathroom is one of the germiest rooms in the house! At least it seems to be in this house with two boys! I was also impressed by the unique wide dispensing nozzle! I didn’t have to squeeze and squeeze! The wider nozzle delivers cleaning power right where I need it in no time, even under the bowl rim. Up under the rim is the worst, so it’s definitely good to have maximum cleaning power there! My niece was even game to help me clean the bathroom and test out the wider nozzle on the Clorox Toilet Bowl Cleaner. So we made it a group project and gave the toilet a good scrub! It’s more fun that way, right? Hopefully she’ll grow up without the dislike for cleaning I have if we can make it fun! It’s definitely a good thing to have kids start helping out with household chores while they’re younger. I don’t think I cleaned a toilet until I had moved into my own apartment! Maybe I wouldn’t have such an aversion to it now if I would have started at a younger age, and if it would have included some fun. 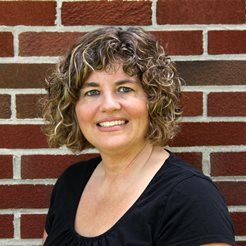 Of course it’s hard to think about cleaning a toilet as fun at any age!